Home Tags Posts tagged with "blake edwards"
Herbert Lom, best known for playing Charles Dreyfus in the Pink Panther films, has died aged 95. The Czech-born, London-based actor starred opposite Peter Sellers in several films as Inspector Clouseau’s irritable boss. 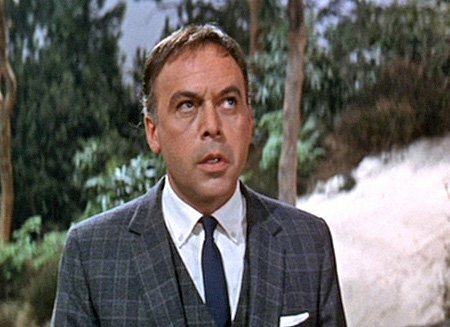 Herbert Lom appeared in more than 100 films during his 60-year acting career, including such classics as The Ladykillers, Spartacus and El Cid. His family said he died peacefully in his sleep on Thursday. Herbert Lom also portrayed Napoleon Bonaparte on two occasions. One of them came in the 1956 screen adaptation of Tolstoy’s War And Peace, also starring Audrey Hepburn and Henry Fonda. He first appeared as police chief Charles Dreyfus in 1964’s A Shot In The Dark, a character who became increasingly mentally unstable as a result of Inspector Clouseau’s incompetence as the films went on. Herbert Lom was born Herbert Charles Angelo Kuchacevich ze Schluderpacheru in Prague in 1917, where he grew up and attended the city’s university. He began acting on stage and screen in Czechoslovakia, before leaving for England at the start of World War II. Herbert Lom trained at the Royal Academy of Dramatic Art in London before making his English language acting debut in 1940 film Mein Kampf – My Crimes. He was offered a seven-year contract with Twentieth Century Fox and secured several lead roles in the 1940s, including Napoleon in The Young Mr. Pitt. In the 1950s he played opposite Alec Guinness and Peter Sellers in Ealing comedy The Ladykillers and opposite Robert Mitchum and Rita Hayworth in Fire Down Below. Herbert Lom made a specialty of playing the sinister character in a string of low-budget horror films including a number of Hammer studio productions, playing the Phantom in their production of The Phantom of the Opera. Those parts persuaded director Blake Edwards to give him his most famous role as Inspector Clouseau’s long-suffering boss in several of the Pink Panther movies. “It was a godsend when I was offered the part,” he said of the role. Herbert Lom married Dina Schea in 1948, whom he divorced in 1971, and had a daughter with potter Brigitte Appleby. He also wrote two novels alongside his acting career: Enter A Spy published in 1971 and Dr. Guillotine in 1993. Hrbert Lom’s later acting career saw him work with director David Cronenberg in a 1983 adaptation of Stephen King novel The Dead Zone, opposite Christopher Walken.